This article deals with expectations of Ukrainian #soybean producers to increase production volumes and prospects for them to occupy the leading share within the #EU market of #non-genetically modified soybeans. In addition, the price for soybeans is expected to increase in 2016-17 market, which will result in additional #sales profits. 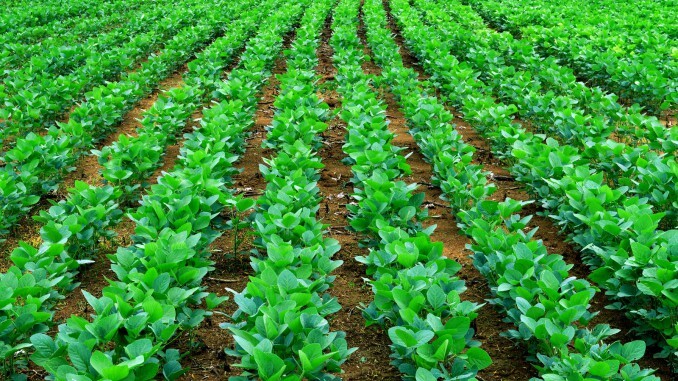 Ukrainian experts expect increase in volumes of soybeans production in 2016-17 marketing year. It is estimated that in 2015-16 marketing year Ukraine produced 3.92 million tonnes of soybeans, while next year the volume will reach to the record breaking 4.2 million tonnes with the average productivity of 2000 kilos per one hectare. In addition, during the period starting from September 2015 to May 2016 Ukraine exported more than 118 thousand tonnes of soybean oil for nearly USD 81.5 million. The main destinations of Ukrainian export were China and Poland. In addition, it is expected that the price for soybeans will increase by 12% in 2016-17 market year and reach USD 393 per one ton. At the moment, Ukraine is in TOP-6 world exporters of soybeans. Some experts predict that in a couple of years Ukraine will become the leading importer of non-genetically modified soybeans to the EU states. We note that a long-awaited EU-Ukraine free trade zone was launched on 1 January 2016. Under the terms of Free Trade Zone Agreement, certain goods are imported from Ukraine to EU on the basis of quotas established in the economic part of Free Trade Zone Agreement. The list of such goods includes poultry meat, cereals, flour, honey, dairy products and milk, mushrooms, etc. If the respective quotas for certain goods are filled up, any sale of such good to EU is subject to import duty. We also note that in 2016 Ukraine seeks to ratify free trade zone agreement with Canada and conclude free trade zone agreements with Israel and Turkey.